A few days ago Worth and Gates were in Cheltenham and Worth bought a new trinket box that was a marbellised style under acrylic. On the same day crossing one of the leafy streets of Cheltenham they crossed the road by a horse chestnut tree. They each picked up a Conker. A love token if you will. They have put them in the new trinket box. Meanwhile on Facebook one of their friends Jackie showed them some Murano glass in a heart shape and it reminded them of a small pendant of Murano glass that they had bought in Venice. 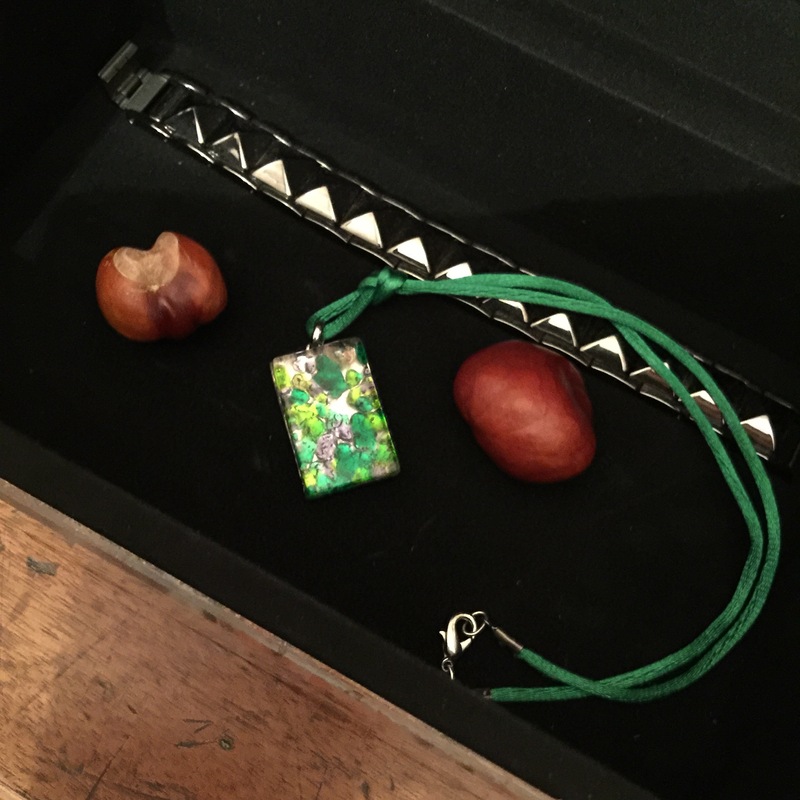 The pendant has also been added to the new trinket box. Little things in life can be special things. Worth and Gates love their conkers.